MTV movies: It's easy to dismiss the MTV Movie Awards as being just another copycat Oscar show, but a closer look suggests the Academy could learn a lot from MTV. This year's live telecast is Sunday (Apr. 10) at 5:00 p.m./PT (8:00 p.m./ET) with an hour of Red Carpet festivities preceding the show. Dwayne Johnson and Kevin Hart are hosting with such presenters as: Jessica Chastain, Zac Efron, Gigi Hadid, Chris Hemsworth, Olivia Munn, Will Poulter and Charlize Theron. Chris Evans, who plays Captain America and Steve Rogers in Marvel and Disney's "Captain America: Civil War," will intro an exclusive preview from the 3D sci-fi action adventure, which kicksoff the pre-summer season May 6. When the MMA's began in 1992 they were known for their irreverent approach to Hollywood and awards. But over the years, they've evolved into something that now reflects millennials' taste in movies. Meanwhile, the MMA nominees and the categories they compete in give us a better sense of today's movie marketplace than the Oscars have in recent years. Moreover, there's much more diversity among MMA nominees than at the Oscars, where for a second straight year there was no diversity at all among the acting nominees. MTV's categories are ones that moviegoers can actually understand and have a rooting interest in as opposed to Oscar's technical craft driven categories that even longtime filmmakers have trouble figuring out when they vote. Most of the MMA's are performance driven, except for Movie of the Year, True Story and Documentary. Audiences can easily relate to categories like best comedic performance or action performance or best hero or villain. And while categories like best kiss or fight may make Academy members cringe, MTV viewers probably care more about who wins in those races than they do about Oscar categories like sound mixing that they don't understand or live action short film that they have no way of seeing. The best way to recognize how different the MMA's are from the Oscars is to look at what MTV calls its "Movie of the Year" category and Oscar calls its "Best Picture." While "Best Picture" implies critical acclaim and professional excellence, "Movie of the Year"suggests a high level of success from impacting in the marketplace. (1) "Avengers: Age of Ultron," the third biggest grossing domestic film in 2015 with $459 million. Clearly, a people pleaser if Hollywood ever saw one. Wake up, Academy!This is what moviegoers think should be competing for Best Picture. 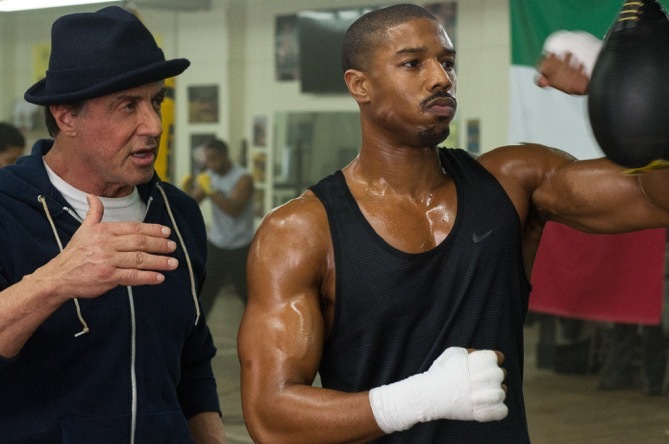 (2) "Creed,"its $109.8 million domestic gross puts it 29th for 2015, but it packed a powerful punch as a come-back vehicle for Sylvester Stallone. People have a rooting interest in how Sly does. Academy members didn't care about the film although they did nominate Stallone for supporting actor. Oscar bloggers thought he was a lock to win, but Oscar was short on sentiment and Stallone lost to Mark Rylance's critically acclaimed performance in "Bridge of Spies." (3) "Deadpool," the top grossing domestic film of 2016 with $351.6 million. An R rated superhero movie that connected with the universe of comic book movie fans – but not something that resonated with aging Academy voters. (4) "Jurassic World," the second biggest grossing domestic film of 2015 with $652.3 million.Moviegoers still love their dinosaurs, but Oscar still doesn't care. In 1993, the original "Jurassic Park" got three noms – sound, sound effects editing and visual effects – and went home empty handed. Director Steven Spielberg was snubbed. The new episode received no Academy noms at all. 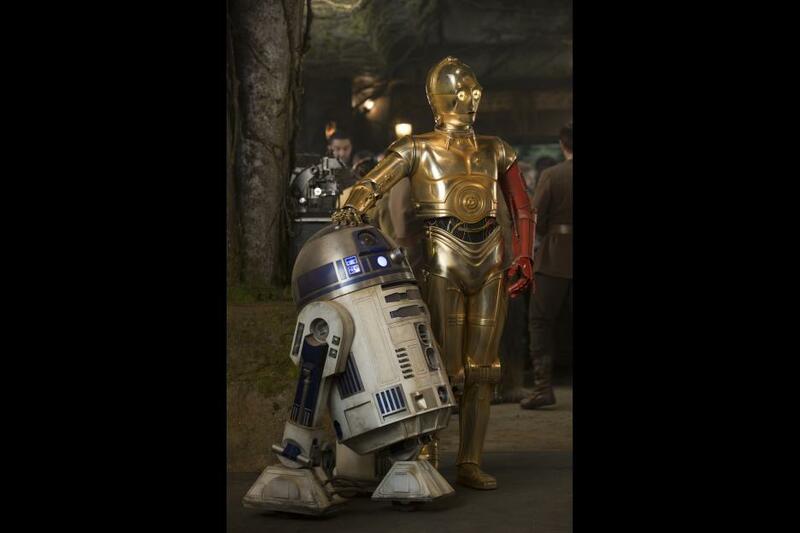 (5) "Star Wars: The Force Awakens," 2015's top grossing domestic release with $934.2 million. Oscar voters gave it five noms -- film editing, original score, sound editing, sound mixing and visual effects. That's right – it lost across the board. Not Academy members cup of tea, apparently. 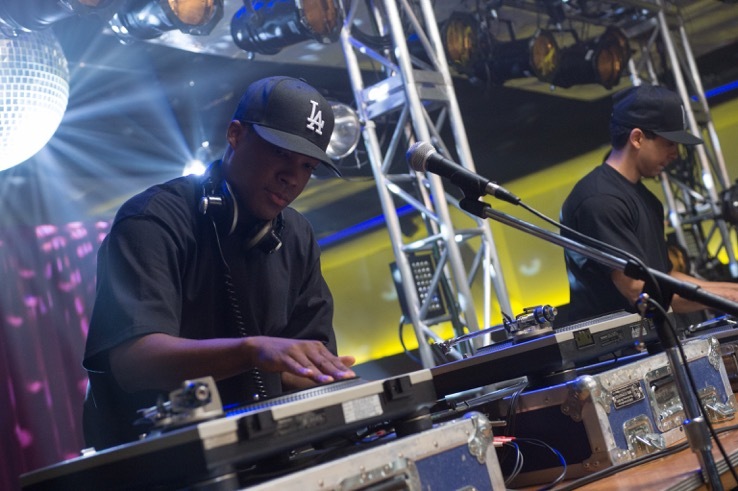 (6) "Straight Outta Compton," a powerhouse hit with $161.2 million domestically and a big impact in the marketplace. If Academy voters had bothered to see it – some Oscar bloggers insist voters didn't watch it because they felt it wasn't their kind of movie – they could have countered some of the lack-of-diversity criticism theywound up getting. Not surprisingly, none of the MMA nominees got into Oscar's best picture race – and not because they weren't good enough to compete. They most likely wereoverlooked because Academy voters no longer consider casting votes for mainstream films. The disconnect between Oscar and moviegoers is worse than ever. To get nominated for Best Picture, a film typically needs to be driven by critics groups' awards and by an early film festival buzz. On the other hand, moviegoers are making their ticket buying decisions based on marketing campaigns emphasizing action and special effects and on word-of-mouth from friends and social media. Unlike Oscar voters, the mainstream audience is very diverse. Academy supporters counter diversity complaints by saying Hollywood doesn't do enough diverse star casting so how can Oscar voters nominate diverse star faces? Well, for what it's worth, MMA managed to find lots of diverse faces to applaud from the very same pool of Hollywood movies. In fact, two of its six Best Male Performance nominees satisfy diversity issues – which is one-third of the nominees. The six noms went to: Chris Pratt for "Jurassic World;"Leonardo DiCaprio for "The Revenant;" Matt Damon for "The Martian;" Michael B. Jordan for "Creed;" Ryan Reynolds for "Deadpool;" and Will Smith for "Concussion." If Jordan and Smith had also landed Oscar noms, diversity critics would have had much less to complain about. Diversity is also easy to find in other MTV races. There's John Boyega ("Star Wars: The Force Awakens") and O'Shea Jackson Jr. ("Straight Outta Compton") in the Breakthrough Performance race. There's Kevin Hart ("Ride Along 2") in the Best Comedic Performance category. There's Dwayne Johnson ("San Andreas") and John Boyega ("Star Wars: The Force Awakens") in the Best Action Performance competition. There's Samuel L. Jackson ("Kingsman: The Secret Service") in the Best Villain contest. And there's Lupita Nyong'o ("Star Wars: The Force Awakens") in the Best Virtual Performance race. And there's Dwayne Johnson again ("San Andreas") in the Best Hero category. And there's Will Smith again ("Focus") for Best Kiss. Among the True Story category nominees are:"Straight Outta Compton," whose ensemble cast includes O'Shea Jackson Jr., Corey Hawkins and Jason Mitchell; and "Concussion," starring Will Smith. By the way, Smith, who skipped the Oscars, will be on hand Sunday for the MMA's not only as a nominee, but to accept the MTV Generation Award. Bottom line:The mainstream movies MTVis celebrating continue to dominate the boxoffice because this is what moviegoers want to see. Last weekend, Warner Bros.' "Batman v Superman: Dawn of Justice" held on to first place with $52.4 million and a two week cume of $261.5 million. Disney's "Zootopia" finished second again with $20 million and a five week cume of $275.9 million. At some point, Academy members need to recognize the disconnect between the films they applaud and the ones moviegoers are payingto see.